The sermon below “The Fast Lane or the Right Path” was excerpted from James Boice. 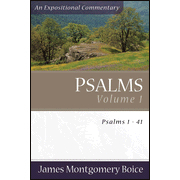 Psalms 1-41: An Exposition of the Psalms. Grand Rapids: Baker, Grand Rapids, 2003. Today, July 7th is Dr. Boice’s birthday in Heaven! The first psalm is among the best known, if not the best known, psalm in the entire Psalter, and rightly so, for it stands as a magnificent gateway to this extraordinary ancient collection of Hebrew religious verse. To use another image, it is a text of which the remaining psalms are essentially exposition. Psalm 1 is a practical psalm. Since it leads the collection, we are taught at once that study of the Psalter must have practical effects if the psalms are to achieve the purpose for which God gave them to us. Psalm 1 introduces us to the way in which we may find happiness and fulfillment in life. It is by meditation on and delight in the law of God. The psalm also warns us of sure, eventual, and eternal ruin if we do not. But there are biblical examples too. The most important is the use of the idea by Jesus toward the end of the Sermon on the Mount as recorded by Matthew. The last section of the sermon lists a series of contrasts, between which choices must be made: two gates and two roads, two trees and their two types of fruit, two houses and two foundations. The part regarding the two ways says, “Enter through the narrow gate. For wide is the gate and broad is the road that leads to destruction, and many enter through it. But small is the gate and narrow the road that leads to life, and only a few find it” (Matt. 7:13–14). Psalm 1 is the clearest, most carefully developed, and first full expression of this idea in the Bible. But let me back up slightly. At first glance it might seem surprising that the idea of the blessed or the happy man is followed immediately by a description of the wicked man, particularly since a description of the way of the wicked also appears later in verses 4 and 5. But it is actually an excellent device. By starting in this way the poet achieves three important things. First, he begins where we are. None of us automatically starts out being righteous. We start out being sinners, and if we do eventually enter by the straight gate upon the narrow road that leads to life, it is by God’s grace. No one, either in the Old Testament or in the New Testament period, was saved in any other way. Second, the poet is able to introduce the doctrine of the two ways from the start. We do not have to wait until verse 4 to read that there is a way other than the way of the godly. Third and finally, the author says something important about godliness. He is going to present godliness positively as the way of the one who delights in the law of the Lord. But any positive affirmation, to have meaning, must have a negative to go with it. Thus, in order to say what the way of the godly man is, we must also be able to say what it is not, and that is what the first verse of the first psalm accomplishes. This interpretation is built into the psalm. The psalm does not merely describe the lifestyle of the wicked; it shows the fruit of that way of life and its end. To the unsaved, “the way of sinners” may seem wonderful and exciting. It is the track they want to be on. But the psalmist warns that it is actually a fast track to emptiness and frustration here as well as judgment in the life to come. What about the other way, the way of the righteous? We might expect, since the wicked man has been described in terms of his associations, that the godly man will now be described in terms of his associations too, that is, as a person who associates with the godly. But that is not the case. Instead, he is described as one whose “delight is in the law of the Lord” on which “he meditates day and night” (v. 2). That is a powerful expression: to “delight” in the law of the Lord. But it is also somewhat puzzling, at least at first glance. The British scholar and Christian apologist C. S. Lewis found it to be so. In Reflections on the Psalms he describes how at first he found the psalmist’s delight in God’s law “utterly bewildering” and “mysterious.” Lewis said he could understand how one could delight in God’s mercies, visitations, and attributes, but not how one could delight in God’s law. You do not delight in law, not really. Rather law is something you respect and (one hopes) obey. The contrast between the two ways may be put like this. It is the difference between those who are in love with sin and those who love God. The first class love sin’s ways and follow it. The second love God and seek him in Scripture, where he may be found. The poet uses two images to show the result of these two ways. The first is a fruitful tree. It describes the man who delights in the law of God and draws his spiritual nourishment from it as a tree that draws its nourishment from an abundantly flowing stream. The land about might be quite dry and barren. The winds might be hot. But if the tree is planted by the stream, so that it can sink its roots down and draw nourishment, it will prosper and yield fruit. This is the godly man. Years ago a couple who had gone to China as missionaries used this image to describe their life there after the communists had taken over China at the end of the Second World War. Their name was Matthews, and they were the last missionaries of the China Inland Mission to escape from that country. They were under communism for two years, during which time they lived with their young daughter Lilah in a small room. Their only furniture was a stool. They could not contact their Christian friends for fear of getting them into trouble. Except for the smallest trickle, their funds were cut off by the government. Heat came from a small stove which they lit once a day to boil rice for dinner. The only fuel they had was dried animal refuse that Art Matthews collected from the streets. These were indeed dry times. But afterward, when they wrote their testimony to God’s grace in the midst of such privations, they called their book Green Leaf in Drought Time, because they found that those who delight in the Word of God do not wither but instead produce the Holy Spirit’s fruit. The second illustration the psalmist uses is chaff, to which he compares the wicked. The picture here is of a threshing floor at the time of the grain harvest. The threshing floors of Palestine are on hills that catch the best breezes. Grain is brought to them, is crushed by animals or by threshing instruments that are drawn over it, then is pitched high into the air where the wind blows the chaff away. The heavier grain falls back to the threshing floor and is collected. The chaff is scattered or burned, and it is what the psalmist says those who live wickedly are like. The wicked are like chaff in two senses. Chaff is worthless, and chaff is burned. This pictures the futile, empty, worthless life of the godless, as well as their inevitable judgment. If only those who are running away from God could see this! But they cannot, because they will not listen to God and the world is shouting the exact opposite of the Bible’s teaching. The world says that to be religious is foolishness. Religious people never have any fun or accomplish anything, the wicked say. If you want to amount to something and enjoy yourself doing it, get on the fast track of sin, reach out for whatever you want, and take it. Be happy. That is what the world teaches. But it is all a lie, which is exactly what Paul calls it in Romans 1 where he analyzes this fast downward spiral (v. 25). In Eden, the devil told Eve that if she disobeyed God by eating of the forbidden tree, her eyes would be “opened” and she would be “like God, knowing good and evil” (Gen. 3:5). But she did not become like God; she became like Satan. And her eyes were not opened; they had been open. Now she (and her husband) became blind to spiritual realities. Do not believe the devil’s lie. Do not follow the world when it tries to draw you from righteous living by beguiling falsehoods. There is a way that seems right to a man, but in the end it leads to death (Prov. 14:12). That is the way of the wicked. The way of the righteous is the way of the Lord Jesus Christ, who described himself as “the way and the truth and the life” (John 14:6) and promised to keep those who follow him (Matt. 28:20). I do not want to read too much prophecy into the psalms, though there is some, and I do not want to suggest that the author of this psalm, whoever he may have been, was looking forward to the coming of the Lord Jesus Christ when he wrote it. I do not believe he was. Nevertheless, it is hard not to notice, as Arno C. Gaebelein, an excellent devotional writer on the psalms, has said, that “the perfect man portrayed in the opening verses … is … the Lord Jesus.” He is the only one who was really like this. Flacks suggested David. It was not David. Jesus is that man, of course. He is the only perfect man who ever lived, and he is the sinner’s Savior. It is he who stands at the portal of this book to show us the way to live and help us do it. Author: James Montgomery Boice, Th.D., (July 7, 1938 – June 15, 2000) was a Reformed theologian, Bible teacher, and pastor of Tenth Presbyterian Church in Philadelphia from 1968 until his death. He is heard on The Bible Study Hour radio broadcast and was a well known author and speaker in evangelical and Reformed circles. 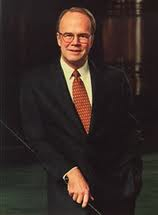 He also served as Chairman of the International Council on Biblical Inerrancy for over ten years and was a founding member of the Alliance of Confessing Evangelicals. He is the author of numerous Bible expositions and one of my favorite Systematic Theologies called Foundations of the Christian Faith.